Create, manage, and promote wish lists supporting your needs, your family, schools, or community. 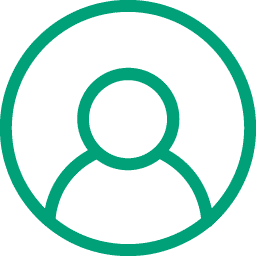 Create your profile providing givers a glimpse into your passion. Select items from a variety of reputable retailers and distribute lists of your exact needs. Track purchases on your lists and send personalized thank you messages. Do you know someone in your community that needs a helping hand? Create your own wish list on RightGift to help fundraise the items they need. RightGift doesn't take a fee or charge you anything. When an item is purchased through RightGift our retail partners pay us a commission on the item purchased which is how we're able to offer the our service free of charge. With over 8.5 million items, RightGift makes it easy to build wish lists of items from top retailers like Walmart, Target, Home Depot, and more. 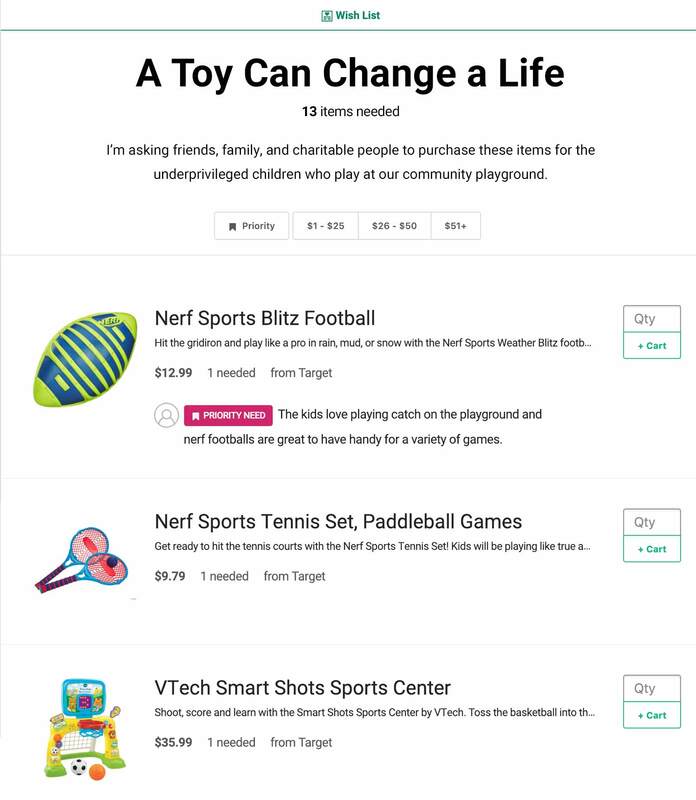 By wish listing specific items, you ensure that those you're supporting get exactly what they need and you get a clear understanding of the positive impact you made possible! Built-in tools make it easy for you to share your wish list on social media to help rally support for your cause.